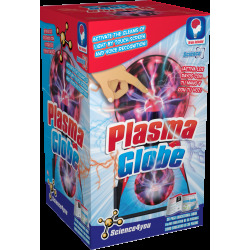 Activate the gleams of light by touching the screen and through voice recognition. 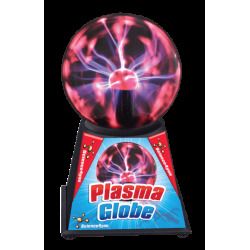 Enjoy playing with the Plasma Globe and learn about electricity and plasma. 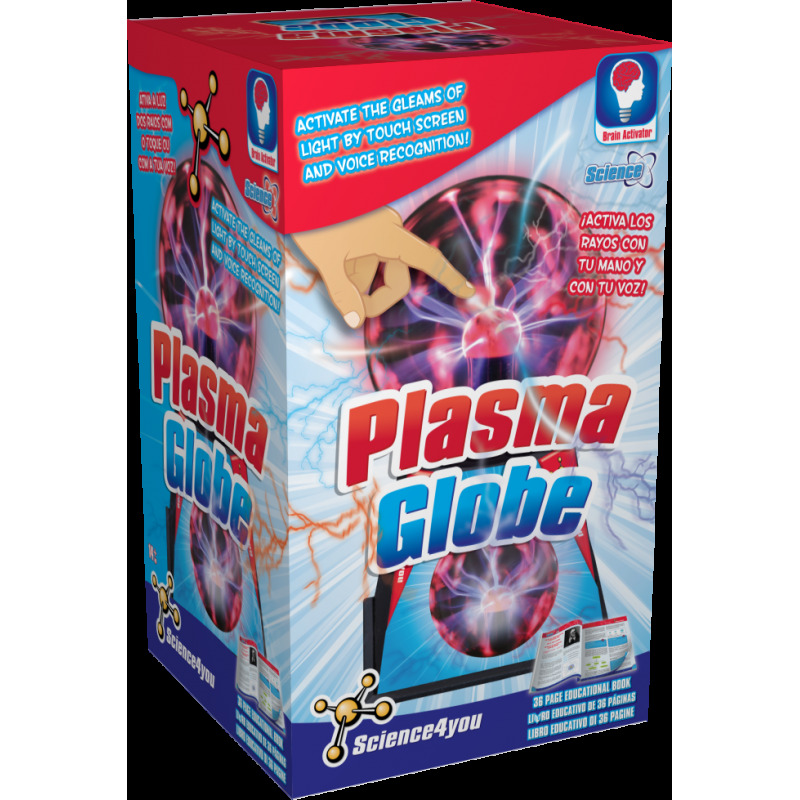 You will love seeing how physics works! 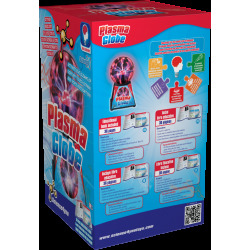 What are the physical states of matter. How lightning rays are formed. It also includes an educational book with 32 pages. Power supply: 12V 500mA adapter. Dimensions: 125 x 125 x 200 mm.